← Don’t speak German – not a problem! 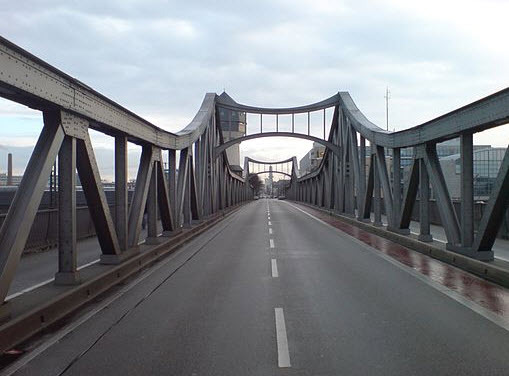 The bridge from Germany to the U.S.
One of the sites that was made known to me through a Google search is called The Birkenhördt Project. It is a non-commercial site devoted to documenting all genealogical relationships in the Southern Palatinate and the French district of Bas-Rhin. A group of people located in mostly Germany and in the U.S. has made it their mission to document the emigrants from this area of Europe – and also their descendants in the country they emigrated to from Europe. That’s a pretty ambitious undertaking – but I think it’s a great idea. Click this link to read more about The Birkenhördt Project’s history. Note: you have to scroll down the page past the German to reach the English translation of the German text. Surname – your ancestors’ last name. This is very valuable, since the Knapp ancestors seem to have left Germany in a group, along with many of their friends and neighbors from Hessen. They maintained these close ties to their fellow countrymen even after they reached the United States. If you look through the family tree information, you keep on seeing the same surnames over and over again: May/Mai, Antes/Anthes/Andes, Trares, Paulus, Kline/Klein, Wise/Weiss, etc. Sites like this help genealogists bridge the gap between the New World and the Old Country. Perhaps by using this site and actively contributing to the exchange of information, we can forge a link between the Knapps that chose to go to the U.S. – and the ones that stayed behind in Germany. I have often wondered what happened to these people during the two World Wars. It would be wonderful if we could establish some kind of contact with their descendants. In case you’re wondering about the bridge picture, it is the bridge over the northern part of the Darmstadt Main Train Station, in Darmstadt, Germany. An old water tower is in the background, with the view looking eastward. Enjoy! This entry was posted in Genealogy How To's, Germany, Photos. Bookmark the permalink.